Rodgers Shelter is a terrace level archaeological site along the Pomme de Terre River. The site was carefully studied before it was submerged by the U. S. Army Corps of Engineers under the water of the Harry S. Truman reservoir. 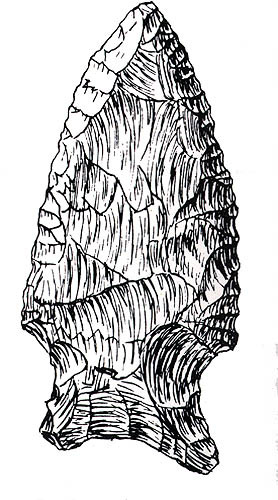 The stone tools from the site belong to Late Paleo-Indian (Dalton) Period, Middle Archaic, Late Archaic, and Woodland Period. 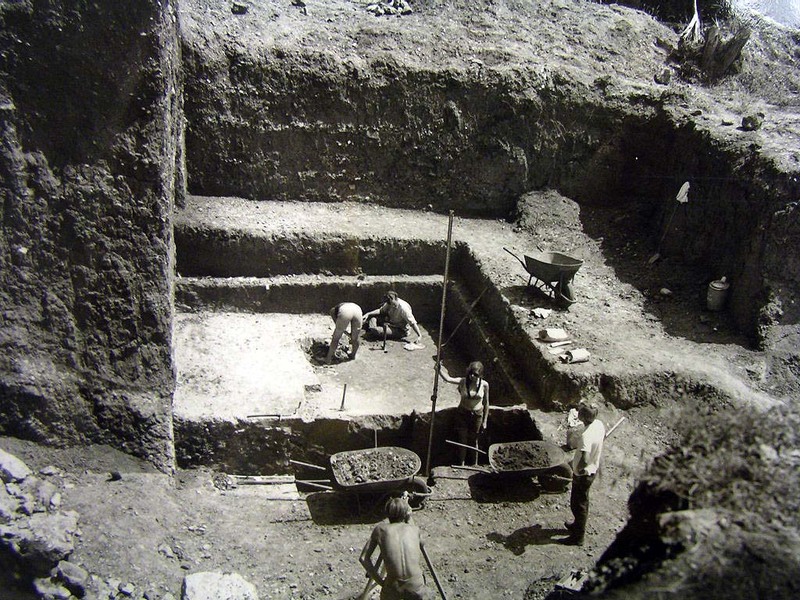 The site was excavated by R. Bruce McMillan and Raymond Wood. The site is very important because of its deep stratification. Uncalibrated radiocarbon date for the site include 8530 BC +/- 650 (ISGS-48), 8250 BC +/- 330 (M-2333), 6150 BC +/- 300 (A-868A), 6150 BC +/- 140 (GaK-1170), 6080 BC +/- 300 (M-1900), 4350 BC +/- 590 (ISGS-35), 5060 BC +/- 160 (GAK-11710, 5540 BC +/- 170 (GaK-1172), 3250 BC +/- 200 (M-2281), and 3150 BC +/- 400 (M-2332). Animal bones from the Dalton Horizon (8550 to 7550 BC) include both deer and raccoon; the plant remains include hickory nuts and black walnuts. Animal bones from the Middle Archaic I (6650 to 5050 BC) have a sharply reduced percentage of deer bones, but does include a few bison bones. Smaller game were important with squirrels playing an important component in the diet. Other animal bones include Badger, prairie chicken, pocket mouse, pronghorn, jack rabbit, and spotted skunk. Plant remains from the Middle Archaic I horizon include hickory nuts, walnuts and hackberries. R. Bruce McMillan interpreted the reduction of deer in the diet as a result of the severe and prolonged droughts which reduced the availability of acorn producting oak trees (the main food resource for the deer). Bones from the Middle Archaic II (5050 to 4350 BC) continue to show an near absence of deer bones and a reliance on small game with a reliance on rabbits and small rodents. Freshwater mussels were utilized during this phase which might correlate to overall scarcity of animal sources of protein. Stratum 3, a sterile soil unit, separated the Middle and Late Archaic stratum. The Late Archaic (1050 to 50 BC) diet is remarkably different from the evidence for the Middle Archaic Period. Animal bones indicate that deer hunting was the primary source for protein. Turtles and freshwater mussels were also exploited. Badger and Prairie chickens were also part of the diet. Woodland Period (AD 200 to 950) diet included deer, turkey, fish, and freshwater mussels. 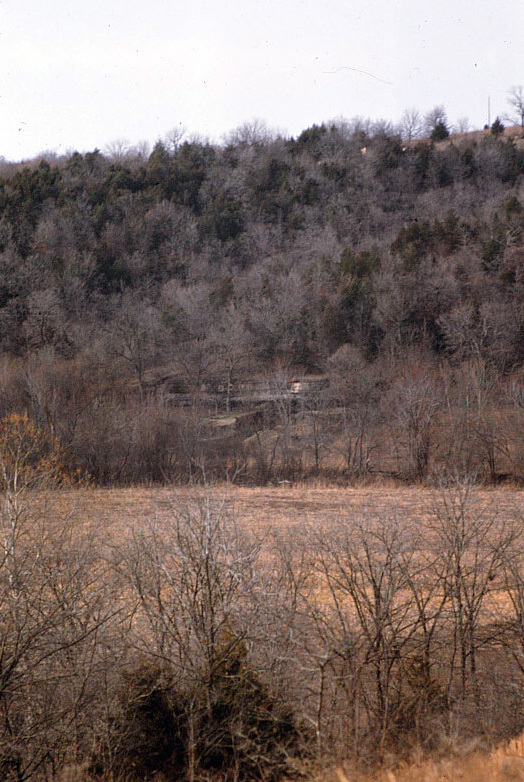 View of Rodgers Shelter from across the valley before being flooded. Photograph provided by R. Bruce McMillan, University of Missouri - Columbia. 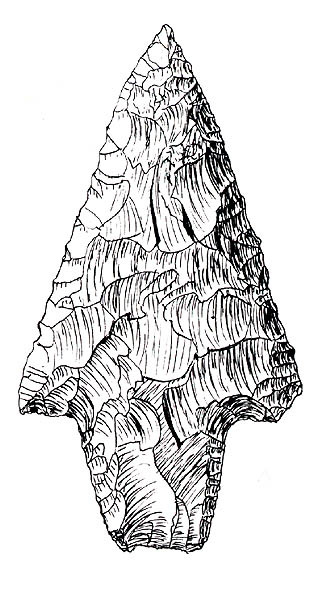 1971 Projectile Point form and and function at Rodgers Shelter, Missouri. 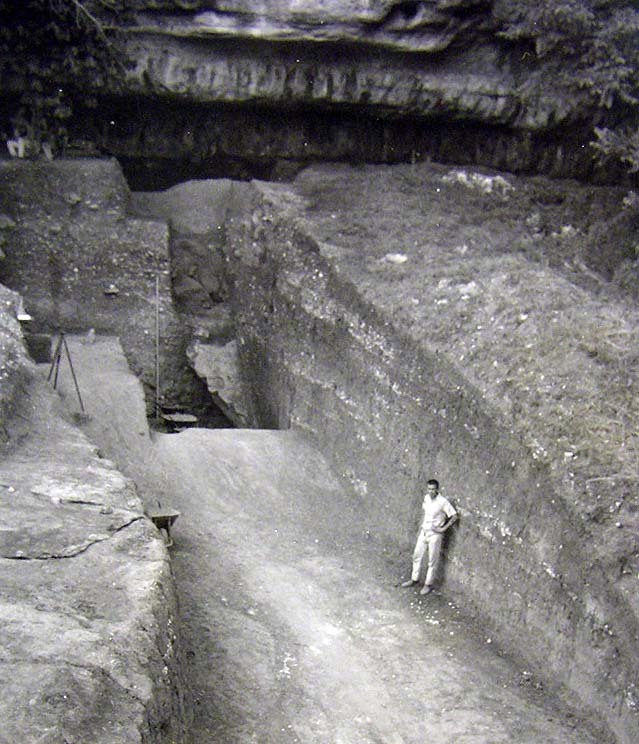 Missouri Archaeological Society Research Series 8. 1976 Prehistoric Man and His Environments: A case study in the Ozark Highland. Academic Press, New York. Special thanks to Ray Wood and R. Bruce McMillan for explaining their research when I visited the excavation during the 1970s. Thank you to Candace Sall, Curation Specialist, American Archaeology Division for her assistance in researching the curated archaeological collections of the University of Missouri - Columbia. The images reproduced at this website were graciously provided by the American Archaeology Division (AAD) Museum and Missouri Archaeological Society and by R. Bruce McMillan. They may not be copied or reproduced without the permission of AAD. A warm thanks to Neathery Batsell Fuller for her advice on the content of the webpage.